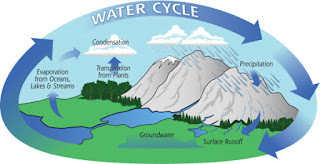 Have your kids ever asked you why it rains? Making a rain cloud in a jar is a great way to teach them about the weather system and how rain forms. 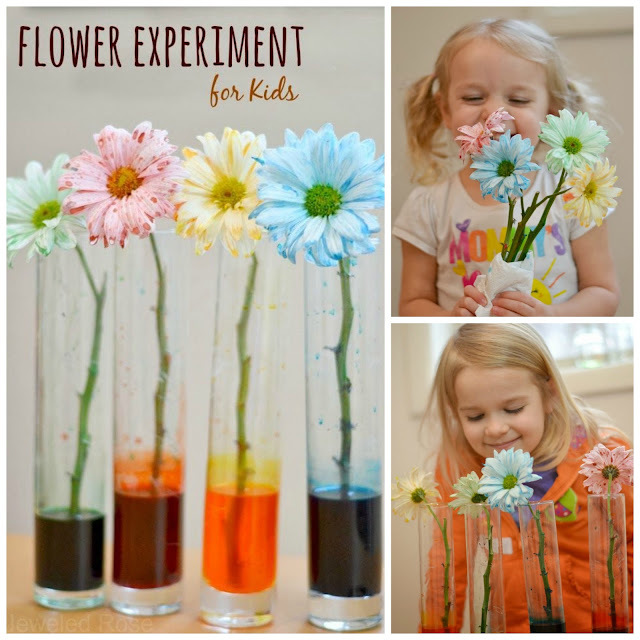 My girls love this science experiment and ask to do it often, especially on rainy days. 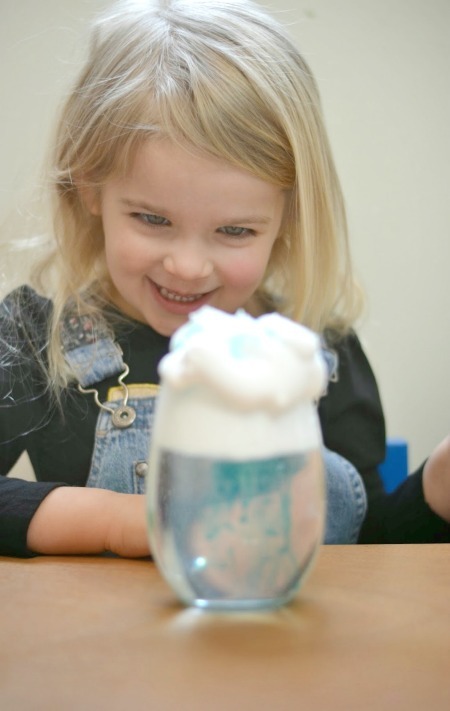 Before making rain clouds we discussed the weather and made predictions about what might cause rain to form. After a bit of speculation we read a few weather related books. Then, we set out to "make it rain"! 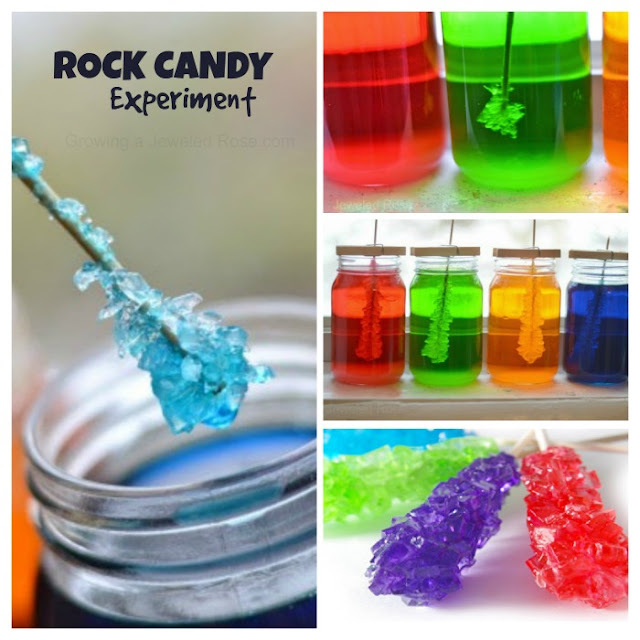 Fill the jars or containers you are using 3/4 of the way with water. 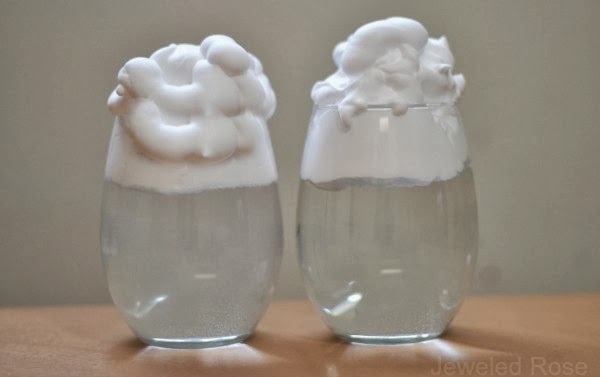 Then, carefully add shaving foam to the waters surface so that it resembles a cloud. 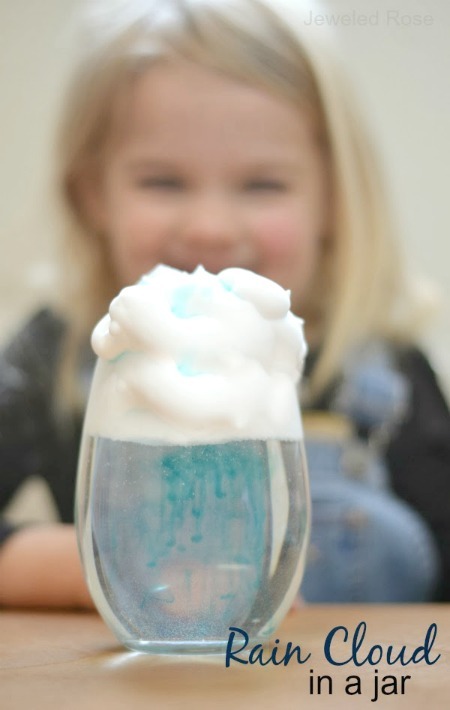 Set this aside while allowing a few minutes for the shaving cream to fully settle on top of the water. 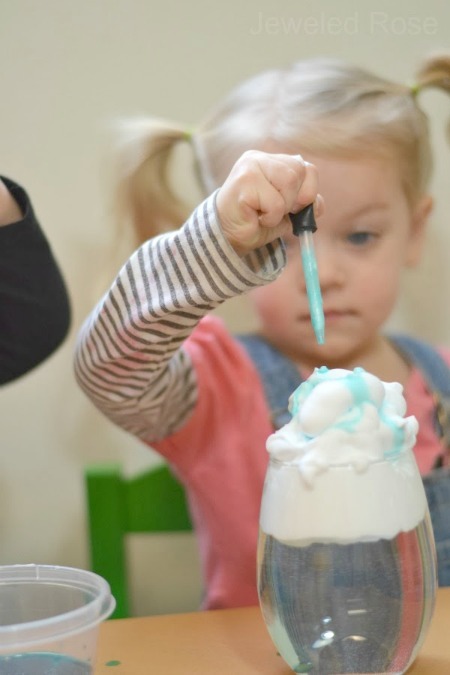 In a bowl mix a few drops of blue food coloring with a little bit of water. 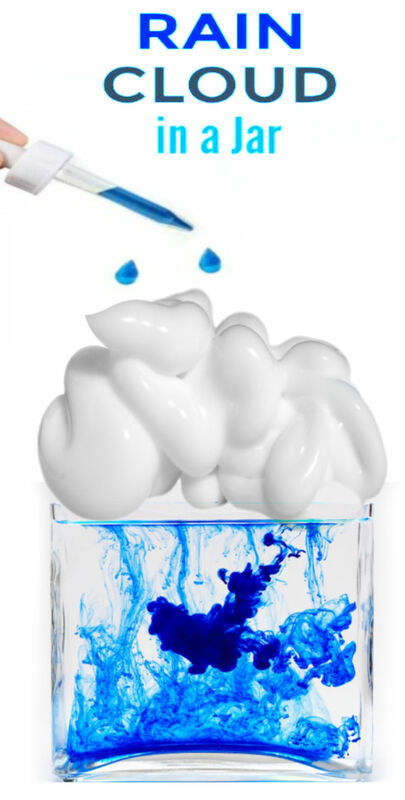 This will act as "your rain". 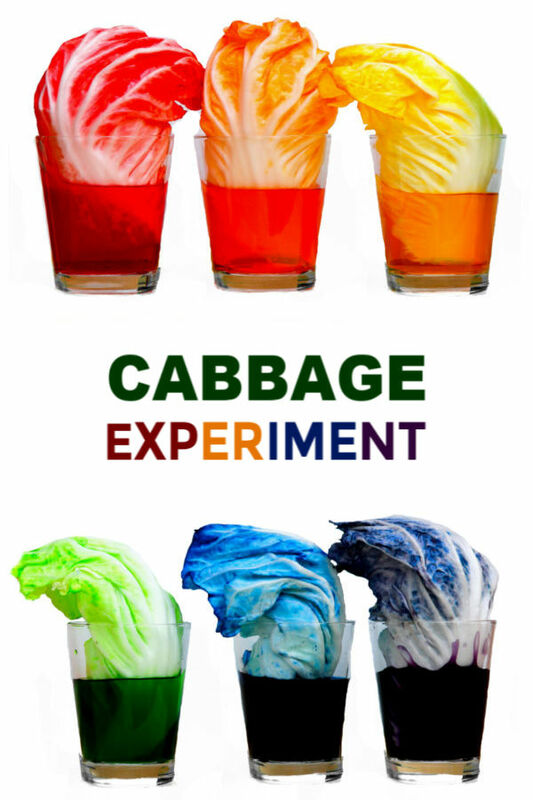 Add a pipette or two, and the experiment can begin! 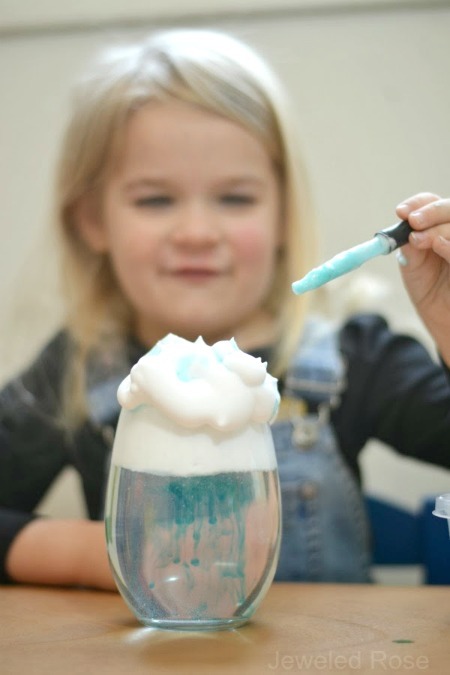 Have kids fill their pipettes or droppers with blue water and squeeze it onto their cloud. 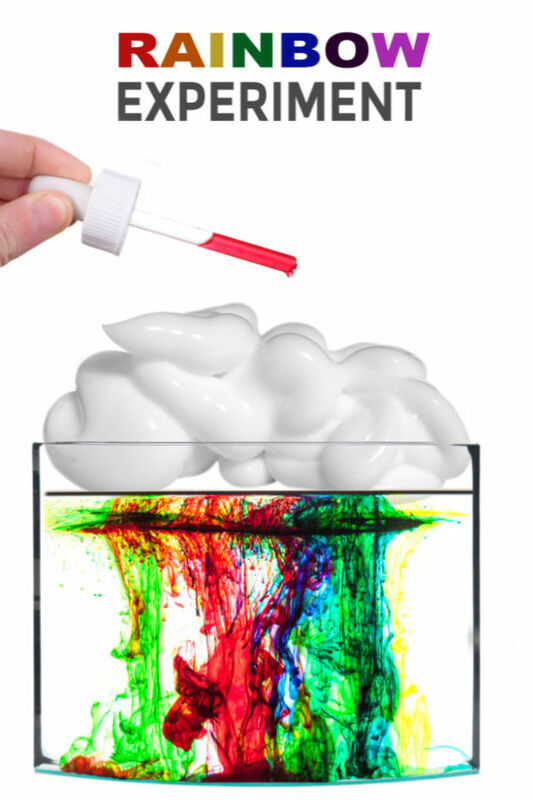 Inserting the tip of the pipette into the cloud seemed to help the cloud to fill faster. 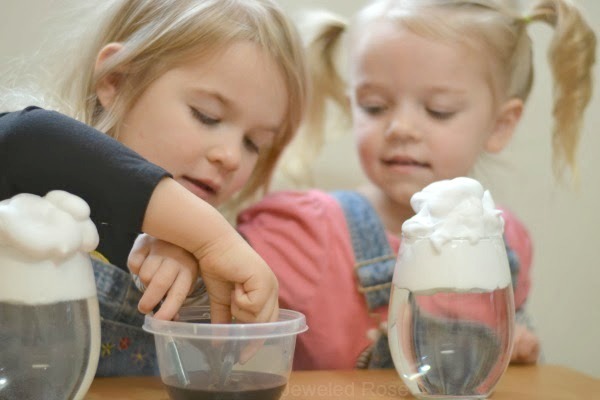 Have kids squeeze more and more blue water into the cloud. 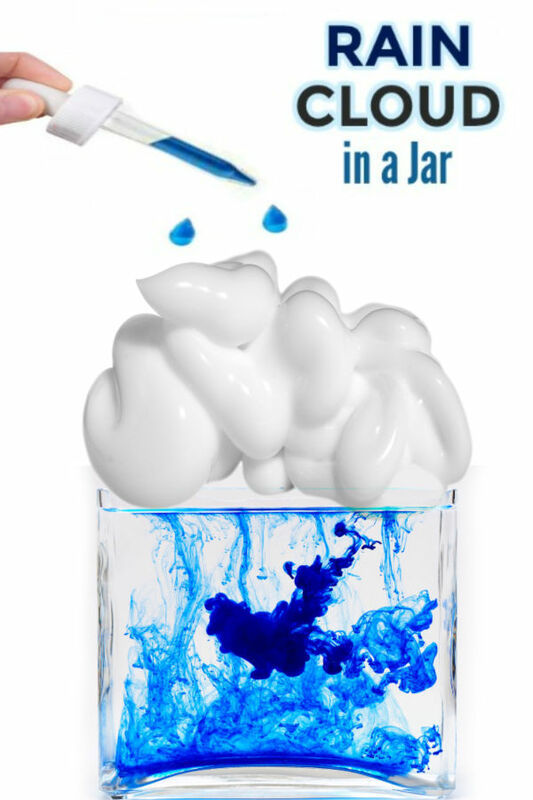 As the cloud fills with water it will become over-saturated causing it to rain inside of the jar. 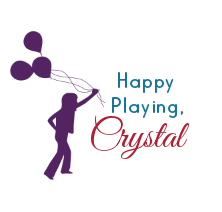 My girls thought this was SO COOL and wanted to make it rain over & over again! 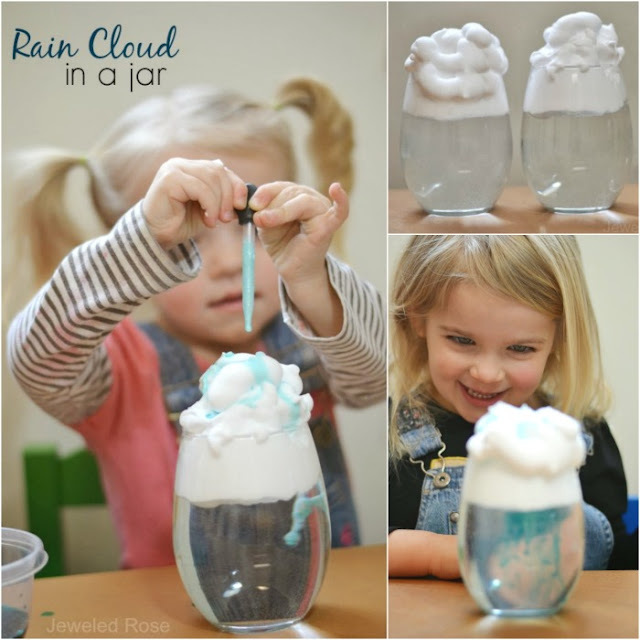 This rain cloud in a jar experiment was a great way to visually illustrate the weather cycle to my girls. We will definitely be making it rain again real soon, and next time we just might use rainbow rain!